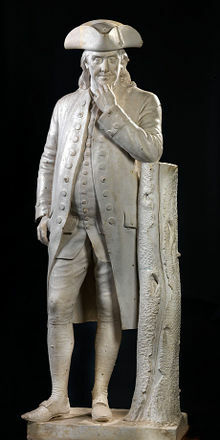 Benjamin Franklin wrote in his autobiography about his habitual efforts to improve his moral character. The word "character" is derived from the Ancient Greek word "charaktêr", referring to a mark impressed upon a coin. Later it came to mean a point by which one thing was told apart from others. There are two approaches when dealing with moral character: Normative ethics involve moral standards that exhibit right and wrong conduct. It is a test of proper behavior and determining what is right and wrong. Applied ethics involve specific and controversial issues along with a moral choice, and tend to involve situations where people are either for or against the issue. In 1982 V. Campbell and R. Bond proposed the following as major sources in influencing character and moral development: heredity, early childhood experience, modeling by important adults and older youth, peer influence, the general physical and social environment, the communications media, the teachings of schools and other institutions, and specific situations and roles that elicit corresponding behavior. The field of business ethics examines moral controversies relating to the social responsibilities of capitalist business practices, the moral status of corporate entities, deceptive advertising, insider trading, employee rights, job discrimination, affirmative action and drug testing. In the military field, character is considered particularly relevant in the leadership development area. Military leaders should not only "know" theoretically the moral values but they must embody these values. The Stanford Encyclopedia of Philosophy provides a historical account of some important developments in philosophical approaches to moral character. A lot of attention is given to Plato, Aristotle, and Karl Marx's views, since they all follow the idea of moral character after the Greeks. Marx accepts Aristotle's insight that virtue and good character are based on a sense of self-esteem and self-confidence. Plato believed that the soul is divided into three parts of desire: Rational, Appetitive, or Spirited. In order to have moral character, we must understand what contributes to our overall good and have our spirited and appetitive desires educated properly, so that they can agree with the guidance provided by the rational part of the soul. Aristotle tells us that there are good people in the world. These are those who exhibit excellences – excellences of thought and excellences of character. His phrase for excellences of character – êthikai aretai – we usually translate as moral virtue or moral excellence. When we speak of a moral virtue or an excellence of character, the emphasis is on the combination of qualities that make an individual the sort of ethically admirable person that he is. Aristotle defines virtuous character at the beginning of Book II in Nicomachean Ethics: “Excellence of character, then, is a state concerned with choice, lying in a mean relative to us, this being determined by reason and in the way in which the man of practical wisdom would determine it. Now it is a mean between two vices, that which depends on excess and that which depends on defect”. In Aristotle's view, good character is based on two naturally occurring psychological responses that most people experience without difficulty: our tendency to take pleasure from self-realizing activity and our tendency to form friendly feelings toward others under specific circumstances. Based on his view, virtually everyone is capable of becoming better and they are the ones responsible for actions that express (or could express) their character. Abraham Lincoln once said, "Character is like a tree and reputation like its shadow. The shadow is what we think of it; the tree is the real thing." 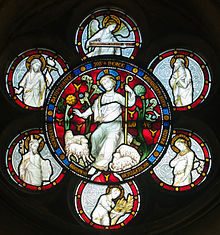 Stained glass window at Christ Church Cathedral in Dublin, depicting the Fruit of the Holy Spirit along with role models representing them. Christian character is also defined as exhibiting the "Fruit of the Holy Spirit": love, joy, peace, patience, kindness, goodness, faithfulness, gentleness and self-control. [Galatians 5:22-23] Doctrines of grace and total depravity assert that – due to original sin – mankind, entirely or in part, was incapable of truly being good without God's intervention; otherwise at best, one could only mimic good behavior for selfish reasons. The Milgram experiment was a study done in the early 1960s that helped measure a person's moral character. Subjects from different socio-economic groups were tested on their willingness to press a buzzer that caused a participant – posing as a subject – in another room to express great pain and distress for giving a wrong answer to a test question. When the subjects raised questions about what they are being asked to do, the experimenter applied mild pressure in the form of appealing to the need to complete the experiment. The Milgram experiment caused a huge amount of criticism among individuals. In post-experiment interviews with subjects Milgram noted that many were completely convinced of the wrongness of what they were doing. Although the subjects may have had moral values, many were criticized on whether they were a truly moral character. In one experiment that was done in the United States in 1985, the moral character of a person was based on whether or not a person had found a dime in a public phone booth. The findings were that 87% of subjects who found a dime in a phone booth mailed a sealed and addressed envelope that was left at the booth in an apparent mistake by someone else, while only 4% of those who did not find a dime helped. Some[who?] found it very troubling that people would be influenced by such morally trivial factors in their choice whether to provide low-cost assistance to others. John M. Doris raises the issue of ecological validity – do experimental findings reflect phenomena found in natural contexts. He recognizes that these results are counterintuitive to the way most of us think about morally relevant behavior. Another experiment that was done that asked college students at Cornell to predict how they would behave when faced with one of several moral dilemmas, and to make the same predictions for their peers. Again and again, people predicted that they would be more generous and kind than others. Yet when put into the moral dilemma, the subjects did not behave as generously or as kindly as they had predicted. In psychological terms, the experimental subjects were successfully anticipating the base rate of moral behavior and accurately predicting how often others, in general, would be self-sacrificing. In the 1990s and 2000s, a number of philosophers and social scientists began to question the very presuppositions that theories of moral character and moral character traits are based on. Due to the importance of moral character to issues in philosophy, it is unlikely that the debates over the nature of moral character will disappear anytime soon. Non-robustness Claim: moral character traits are not consistent across a wide spectrum of trait-relevant situations. Whatever moral character traits an individual has are situation specific. Consistency Claim: while a person's moral character traits are relatively stable over time, this should be understood as consistency of situation specific traits, rather than robust traits. Fragmentation Claim: a person's moral character traits do not have the evaluative integrity suggested by the Integrity Claim. There may be considerable disunity in a person's moral character among his or her situation-specific character traits. According to Situationists, the empirical evidence favors their view of moral character over the Traditional View. Hugh Hartshorne and M. A. May’s study of the trait of honesty among school children found no cross-situational correlation. A child may be consistently honest with his friends, but not with his parents or teachers. From this and other studies, Hartshorne and May concluded that character traits are not robust but rather “specific functions of life situations”. It [the morality and meaning of an individual’s life] will depend on luck in an individual’s upbringing, the values she is taught, the self-controlling and self-constructing capacities her social environment enables and encourages her to develop, the moral challenges she faces or avoids. If all her character, not just temperamental traits and dispositions but also the reflexive capacities for self-control and self-construction, are matters of luck, then the very ideas of character and agency are in danger of evaporation. A moral character trait is a character trait for which the agent is morally responsible. If moral responsibility is impossible, however, then agents cannot be held responsible for their character traits or for the behaviors that they do as a result of those character traits. A similar argument has also recently been advocated by Bruce Waller. 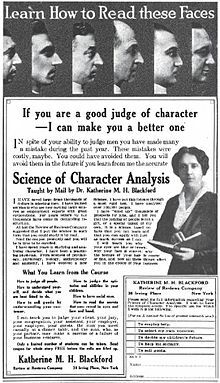 According to Waller, no one is "morally responsible for her character or deliberative powers, or for the results that flow from them.… Given the fact that she was shaped to have such characteristics by environmental (or evolutionary) forces far beyond her control, she deserves no blame [nor praise]". ^ George, MI (August 2017). "What moral character is and is not". The Linacre Quarterly. 84 (3): 261–274. doi:10.1080/00243639.2017.1338442. PMC 5592308. PMID 28912619. ^ Campbell, V., & Bond, R. (1982). "Evaluation of a Character Education Curriculum". In D. McClelland (ed. ), Education For Values. (New York: Irvington Publishers). As described in Huitt, 2004. ^ "FM-62: Leader Development" (PDF). Department of the Army. 30 June 2015. Retrieved 18 December 2016. This article incorporates text from this source, which is in the public domain. ^ a b c "Moral Character (Stanford Encyclopedia of Philosophy)". Plato.stanford.edu. Retrieved 15 November 2013. ^ "Character Quotes". The Quotations Page. Retrieved 15 November 2013. ^ "CO. DUBLIN, DUBLIN, CHRISTCHURCH PLACE, CHRIST CHURCH CATHEDRAL (CI)". Dictionary of Irish Architects 1720–1940. Irish Architectural Archive. Retrieved 13 February 2013. ^ Blum, Lawrence (2 August 2003). "Lack of Character: Personality and Moral Behavior // Reviews // Notre Dame Philosophical Reviews // University of Notre Dame". Ndpr.nd.edu. Retrieved 15 November 2013. ^ Isen, Paula F.; Levin, Alice M. (1975). "Further Studies on the Effect of Feeling Good on Helping". Sociometry. American Sociological Association. 38 (1): 141–147. doi:10.2307/2786238. JSTOR 2786238. ^ a b Blum, Lawrence (2 August 2003). "Lack of Character: Personality and Moral Behavior // Reviews // Notre Dame Philosophical Reviews // University of Notre Dame". Ndpr.nd.edu. Retrieved 15 November 2013. ^ "Moral Character". Iep.utm.edu. Internet Encyclopedia of Philosophy. 9 October 2008. Retrieved 15 November 2013. ^ a b c d "Moral Character". Iep.utm.edu. Internet Encyclopedia of Philosophy. 9 October 2008. Retrieved 15 November 2013. ^ Browne, Brynmor (1 January 1992). "A Solution to the Problem of Moral Luck". The Philosophical Quarterly. 42 (168): 345–56. doi:10.2307/2219685. JSTOR 2219685. Blum, Lawrence (2003). "Review of Doris's Lack of Character", Notre Dame Philosophical Reviews. Homiak, Marcia (2008). "Moral Character", The Stanford Encyclopedia of Philosophy (Fall Edition), Edward N. Zalta (ed.). Huitt, W. "Educational Psychology Interactive: Moral and Character Development". Chiron.valdosta.edu. Retrieved 15 November 2013. Pervin, Lawrence (1994). "A Critical Analysis of Current Trait Theory", Psychological Inquiry 5, pp. 103–113. Timpe, Kevin (9 October 2008). "Moral Character [Internet Encyclopedia of Philosophy]". Iep.utm.edu. Retrieved 15 November 2013.